Due to the growth of Booking.com's IT department we are now hiring 30 Perl Developers! Booking.com is part of Priceline.com and is the World’s #1 Online Hotel Reservations Company, offering over 200,000 hotels worldwide. Our software development basis is SCRUM = Agile. Are you ready to relocate to Amsterdam to an international, result driven, fun & dynamic work environment? Join us! Go to htttp://www.booking.com/jobs to apply. cPanel is the industry leader for turning standalone servers into a fully automated point-and-click hosting platform. Tedious tasks are replaced by web interfaces and API-based calls. cPanel is designed with multiple levels of administration including admin, reseller, end user, and email-based interfaces. These multiple levels provide security, ease of use, and flexibility for everyone from the server administrator to the email account user. cPanel is an organization that wins the loyalty of customers around the world by providing feature-rich applications backed by a team of developers, technical support engineers and quality assurance experts that provide stable builds, direct support, and fantastic customer service. cPanel powers web hosting companies and organizations that have a need to automate and offer competitive hosting services. XING is a social network with over 11 million members. We are the leading network for business professionals in Europe. Based in Hamburg, Germany. XING is really into teamwork and using agile techniques. Independent, focused teams build our platform's products. We have been coding Perl since 2003. XING contributes to open source and hosts meetups, user groups, after-work events and workshops. We are looking for talented people to build the social network of the future in Perl, iOS, Android & Rails. Our success means we are looking for the best software developers to take our platform and product forward. In return you will be exposed to the latest technologies, frameworks & methodologies in application development. united-domains AG is the specialist for fast and simple registration of domain names with over 270 top-level domains worldwide. Our core product is the unique "Domain Portfolio", a web-based software tool for managing domain names and it becomes the personal control center of the client. In our domain portfolio, we manage over 1.5 million domain names of more than 250,000 customers. $foo is the first German Perl magazine dedicated to Perl. It is published every three months and can be purchased as PDF or printed. 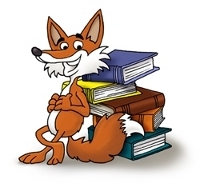 You can read workshops about topics as Perl 6 or WxPerl, tutorials about Moose and many more. There a are 6 CPAN modules introduced with a short abstract each issue. eGENTIC Systems is the technical service provider for eGENTIC - the world market leader in online lead generation. Since over ten years both companies are very successfully following a dynamic strategy of worldwide expansion. The areas of expertise include development of web and mobile applications and servicing the required server ressources. A high percentage of our applications use Perl. The YAPC::Europe Foundation (YEF) is a non-profit organization which works to promote Perl in Europe primarily through public events. YEF supports conference organizers with kickstart donations and by sponsoring an online payment system that can be connected to Act. The venue committee also reviews proposals for the annual YAPC::Europe conference. 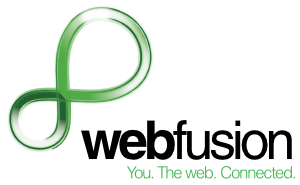 Established in 1997, Webfusion is one of the UK's leading web hosting groups. We offer cost-effective, feature-rich hosting packages for everyone from businesses, web developers, designers and hobbyists. With 24/7 technical support, robust Firewall server protection and a state-of-the-art UK based data centre with Webfusion your website is always in safe hands. Sipwise is an Austrian technology provider located in Vienna, with focus on designing, developing and integrating carrier-grade next-generation communication platforms. We have developed and contributed to industry standard Open Source SIP implementations that are among the most widely used nowadays. We provide many years of experience in developing and operating large scale internet service platforms, including the design of and integration into OSS/BSS frameworks. For our engineering team in Vienna we are looking for talented Perl developers who will extend our provisioning and monitoring systems, administrative and customer self-care panels, the SOAP and XMLRPC interfaces. Find more information at http://www.sipwise.com/category/news/jobs/ and apply for the best job you ever had (according to our engineers). urbia.com AG (a company of Gruner + Jahr AG & Co KG) operates the web community www.urbia.de targeting young families with topics like pregnancy, birth, baby and parenting at its core. www.urbia.de attracts 6,5 million visits and 2,3 million unique users per month which makes us the market leader in the parenting segment in Germany. Perl has been proudly powering our platform since 1998. 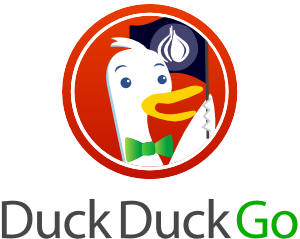 In the meantime we migrated our code base to Modern Perl making use of the Catalyst MVC framework, DBIx::Class, Template::Toolkit, Moose and tons of other wonderful CPAN modules without which we would have never been so successful. To thank the excellent community and show our continuing support, we decided to sponsor this year's YAPC::EU in Frankfurt. If you're interested in joining our team in Cologne, go to http://www.urbia.de/allgemein/jobs to check out our open positions and/or contact us at jobs@urbia.com. With over 120 developers in our teams, based in London and Cluj, Evozon offers custom software solutions, business analysis and project management across the widest possible range of technologies and platforms for web and mobile. Our clients rely on us for innovative bespoke or platform-based solutions. Of our over 120 strong team in Cluj-Napoca, Romania, over 20 are full-time Perl coders that have in-depth experience developing Perl – using a wide range of frameworks. These technologies include mod_perl, Mason, Catalyst, Moose, DBIx::Class and Class::DBI with MySQL or PostgreSQL all architected in a high availability and scalable model with the best practices one would expect. Evozon also supports Perl by sponsoring and participating in YAPC Europe, London Perl Workshop and some contributions to CPAN. Findus is a media search programme specifically for community and municipal libraries. It allows users to quickly search their media library stock. The O'Reilly Verlag is the German subsidiary of the internationally successful publisher O'Reilly Media, Inc.
O'Reilly provides information on important and cutting-edge technologies through high-quality textbooks, digital content, websites and conferences. All O'Reilly authors are part of various international user groups and technology communities - they therefore have first-class practical knowledge. Main topics of O'Reilly's publications are programming software, websites and mobile applications, operating systems, networks, web design, digital photography, social media and physical computing.